The following is the family of the Garber family as recorded by George Robert Garber in November 2000. I am reproducing it here (with some editing, mostly to protect the privacy of family) with his kind permission. "My fraternal grandfather, George Garber, was born on October 6, 1873 in the city of Reval, currently called Talinn, Estonia. He was 13th of 14 children of Samuel Garber and Miriam Stein. They were of German ancestry. [Cai's note: both my father and my grandmother have heard the story that Samuel Garber owned a brothel in Hamburg, Germany. I have yet to find out if this is true.] At the age of thirteen, after an argument with his father, he left home and made his way to St. Petersburg, Russia. He was taken in by a man who made the cabinet work for pianos. It was here that he learned a trade which served him the rest of his life, wood working and cabinet finishing. Four years later, at the age of seventeen, he boarded a ship in Helsinki, Finland, and migrated to the U.S.A.
"Upon his arrival in New York, sometime in 1891, he was admitted into the "Castle Garden". Fortunately, he arrived prior to the establishment of our concentration camp on Ellis Island so he entered with no difficulty. For some unknown reason, he immediately boarded a train for Chicago, the place of his dreams. "In Chicago he got a job in a factory manufacturing chairs. He became acquainted with a fellow worker, a German named Meyers. They roomed together. In 1893, they both lost their jobs due to a great depression. They made their way together by foot and freight train to Kansas City in hope of finding work. My grandfather was taken in by a Swedish couple. He worked with the man who was a patternmaker and offered to teach him the trade. Meyers was not so lucky and moved on to New York. Meyers wrote to him, telling him about the great job he had in Jersey City making cameras. He took off for Jersey City and went to work with Meyers. Again, they roomed together. "As soon as he had completed the five year residency requirement at that time, he was sworn in as a full fledged citizen of the U.S.A. This was something of which he was very proud and he refused to consider himself anything but an American. He always said that he never looked back on his life in Europe. George Garber about 1895 in New York. "Gwendolyn Browne was born on March 19, 1878. She was the daughter of Arthur Browne and Jeanetta Stone of Plymouth, Devonsire. She was born in London. Shortly before her 2nd birthday they migrated to the U.S.A. [Cai's note: You can view the Browne's 1883 ship manifest at the Records Page. I am not sure if this ship manifest is from their first trip to America or a later one.] There were two younger siblings, Grace who died in her early twenties and James. Both were native Americans. The family never completely cut their ties with England and traveled there on several occasions. The last in 1900 with my newborn Aunt Helen who was christened there at Westminster Abbey. Helen Garber was born on March 12, 1900. In 1917 she married Joseph Seltsam. They had one son, Joseph Jr. born June 26, 1918. Aunt Helen died in 1971. My cousin Joe, in September 1964. He was survived by three sons and one daughter. "George James, was born February 5, 1903 in Jersey City, New Jersey. He attended the Kearny public schools until his high school sophmore year. He worked as a merchant seaman aboard "The Louisville Bridge" and "The Eastern Breeze". Unable to find work in the post war depression of 1921, he applied for and was hired as an apprentice stonecutter at George Brown & Co. in Newark, N.J. He married my mother, Rose Juler, on June 20, 1922. In 1945 he first showed symptoms of multiple sclerosis. His condition gradually deteriorated over the years. He died Sept. 10, 1969, survived by my mother and three children, myself, Edward T. and Jane Maver. "My maternal grandfather, Edward Juler, was born in Plainfield (? ), N.J. in 1877 or 78. His father was of English descent. His mother, Mary Kennedy, Irish. He had one sister, Mamie. [Cai's note: You can see the 1880 census of the Juler family atthe Records Page.] Their parents died when they were young. They were raised in a Catholic orphanage in Plainfield. He married my grandmother, Margaret Alston around 1902. He died in a farm accident in 1913. He worked in Owego, N.Y. at the time. "My maternal grandmother was born in Liverpool, England in 1880. Her parents were Robert and Rose Elizabeth Alston, natives of Chorley in Lancashire, near Manchester. Robert came to the U.S.A. He joined the army and served at Fort Concho in Texas. His wife came later, bringing my grandmother sometime before her second birthday. Two children were born in Texas, Joseph and Alice. On a voyage back to England in the mid 1890's, the ship broke down at sea and was towed to Port Newark, New Jersey. The stranded family settled in Newark, where they remained throughout their lives. 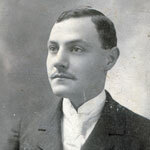 A second son, Robert was born in 1898. 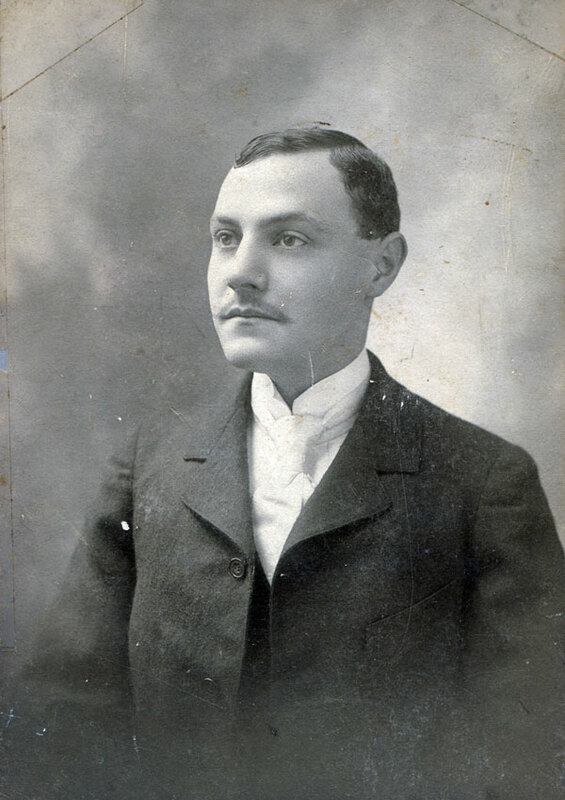 Robert Sr. re-enlisted in the Army during the Spanish-American War. 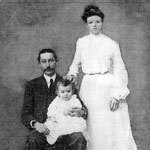 My great-grandmother died in 1927 of a stroke. My great grandfather died in 1935 (view his obituary). The Juler Family about 1906, New York. "Edward and Margaret Juler had 3 daughters. The first died in infancy. My mother, Rose Mary was born July 19, 1905. Her sister Margaret was born in July 1907. My grandmother died in 1908 of a heart attack while nursing my Aunt Margaret. The two girls were raised by their grandmother. My mother died March 10, 1978." 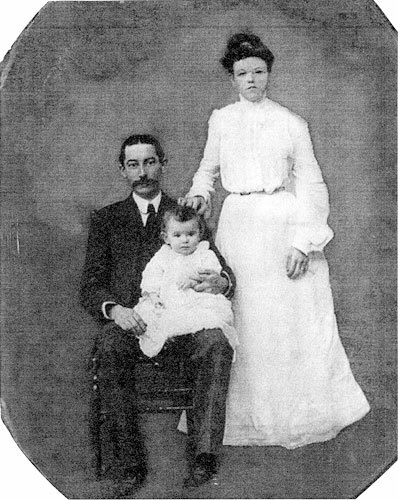 George James Garber and Rose Mary Juler had three kids, George Robert, Edward T., and Helen Jane. They were all born in the master bedroom at 200 Argyle Place. George married Jackie Woodward in 1944. Eddie married Reita Robson in February, 1947 and they had 4 children, Jeannie, Edward, Neil, and Mark. Jane married William Maver in August 1950. They had 3 children, William Jr., Janet and Alan.